Area industries include the Holcim Cement Plant in Trident, Luzenac Talc Mills in Three Forks and Sappington, and Kanta Block Products in Three Forks. Business owners provide groceries, motels, prescriptions, restaurants, gasoline and automotive needs, a variety of professional services, western wear and tack, a greenhouse, a florist, a hardware store, and book, gift, and tackle shops. Three Forks has local Internet providers, overnight shipping services, and a weekly newspaper. There are excellent medical and dental facilities, schools, a golf course, an airport (5,000 feet long, paved and lighted), a library, a museum, a volunteer fire department, and a volunteer ambulance service. Nearby towns are: Willow Creek (6 miles), Manhattan (11 miles), Amsterdam-Churchill (19 miles), Belgrade (21 miles), Four Corners (28 miles), Townsend (37 miles), Whitehall (31 miles), and Bozeman (31 miles). Early in autumn, high daily temperatures average 70 degrees. Indian summer can linger until the middle of October. During the months of October and November, the temperatures generally reach highs in the 40s and 50s and lows in the 20s or 30s. The town of Three Forks derived its name from the headwaters of the Missouri which is the confluence of the three rivers that are the source of the longest river system on the continent, the Missouri-Mississippi drainage. In 1805, Captains Meriwether Lewis and William Clark and the Corps of Discovery camped at the headwaters of the Missouri River. They named the southern fork Gallatin in honor of Albert Gallatin, Secretary of the Treasury; the middle fork, Madison, in honor of James Madison, Secretary of State; and the northern fork, Jefferson, in honor of President Thomas Jefferson. Located in the renowned Gallatin Valley, the headwaters area includes the towns of Three Forks, Willow Creek, Trident, and Logan, up the Jefferson toward Whitehall, up the Madison toward Harrison, and down the Missouri toward Townsend. A tributary of the Jefferson River, Willow Creek, was named "Philosophy River" by Lewis and Clark. The area of the headwaters and surrounding the town of Three Forks has some of the most colorful legends and early day history of any region in Montana. The headwaters area was a natural crossroads and hunting ground for various Native American tribes, such as the Blackfeet, Shoshone, Flathead, and Crow, many years before Lewis and Clark arrived. Nearby is the Madison Buffalo Jump State Park where buffalo were hunted until about 200 years ago. 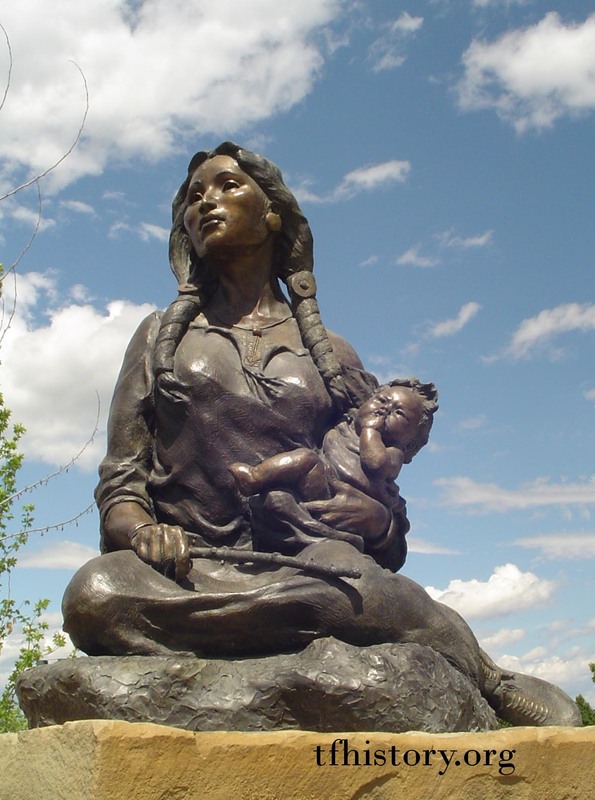 Sacajawea, the Indian woman who was interpreter and guide for the Lewis and Clark Expedition, was captured as a child near the headwaters in 1800. She was taken by the Mennetaree tribe to the Mandan Village in the Dakota Territory. Upon returning with the Corps of Discovery, she recognized this area and knew she was nearing her homeland. John Colter, a member of the Expedition, came back here to trap beaver. This is where he made his famous "naked" run for his life in 1808. He was the first white man to visit Yellowstone Park. A trading post was established by thirty-two men representing the Missouri Fur Company in 1810, among them Colter and George Drouillard who was also on the Lewis and Clark Expedition. The post was unsuccessful due to hostile Indians and grizzly bear attacks. Other famous fur trappers and traders such as Jedediah Smith, Jim Bridger, William Sublette, and Kit Carson also explored here. In 1832, Kit Carson was ambushed below the cliffs north of Trident and wounded in a skirmish with Blackfoot Indians. In 1840, Father DeSmet spent his first summer in Montana in at the headwaters doing missionary work with the Crow and Flathead Nations. In 1862, Gallatin City was founded at the headwaters by a group of Missourians who believed it would be the head of navigation on the Missouri. They thought the gold discoveries in Virginia City, Helena, and elsewhere in Montana, would turn this area into a crossroads for miners, settlers, and freighters traveling between the gold fields. 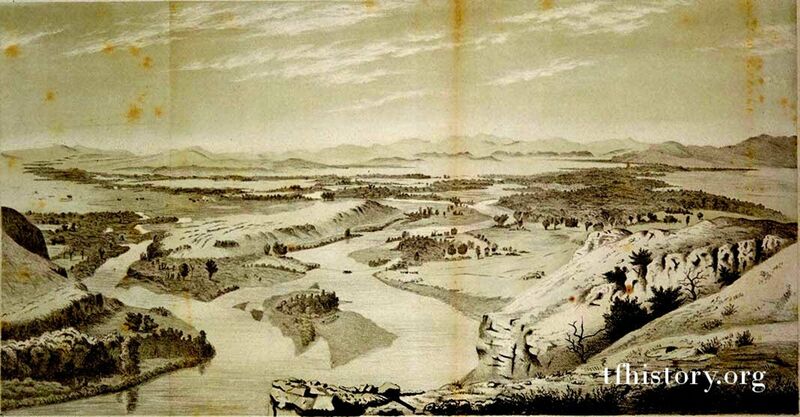 When it was determined that would not be the case, due to the "great falls" above Fort Benton, the town was moved across the river in 1865 to catch the stagecoach trade. It was named Gallatin City II and became the first county seat. 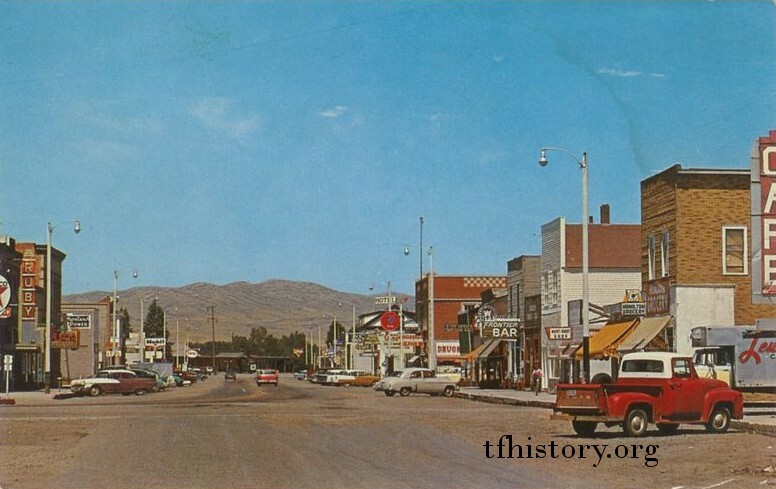 When the county seat was moved to Bozeman and the Northern Pacific Railroad bypassed Gallatin City II, the town began to decline. In 1867, "Initial Point"undefinedwhere the land survey of the entire state of Montana had its start and radiated out to the state's bordersundefinedwas located near the town of Willow Creek, a few miles from Three Forks. "Old Town" is the original Three Forks and was described as a Gallatin City suburb in 1885. It was known at one time as an "English Colony" because it was a place where British first families sent their wayward sons to "sow their wild oats." Other Englishmen embarked in the horse and cattle business. Neither venture profited. Old Town was at one time owned by the Anaconda Copper Company. The Three Forks of today owes its existence to the establishment of the Milwaukee Railroad in 1908. The location was chosen by J. Q. Adams, Milwaukee Railroad Land Agent. 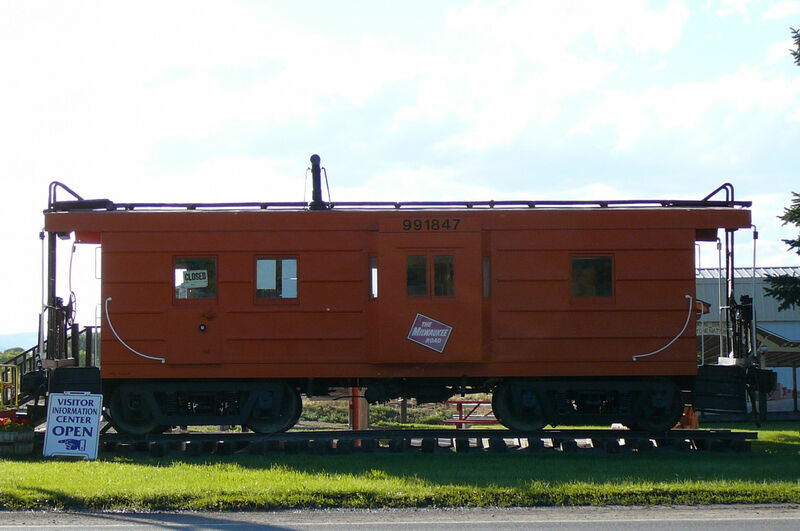 The railroad era lasted until March 25, 1980, when the last Milwaukee Train pulled out of Three Forks. Information and photos courtesy of the Three Forks Chamber of Commerce.